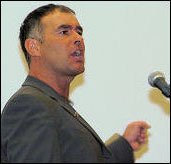 Peter Taaffe, General Secretary of the Socialist Party (CWI England and Wales), reviews the developments and events of 2010 in Britain and worldwide, and looks forward to further struggles in 2011. Years come and go but this New Year's rail fares price rise saw another ceiling breached - the cost of a standard open return ticket from Carlisle to London Euston broke through the £300 barrier and now stands at £301-00, writes Craig Johnston, Carlisle. RAIL PASSENGERS face a miserable start to the New Year as a result of massive price hikes imposed by the privately run train operating companies (TOCs), writes Dave Carr. 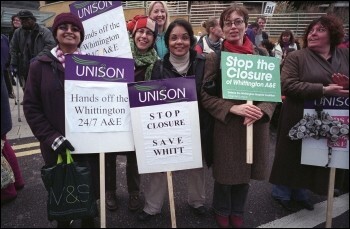 A 'FINAL consultation' meeting of the inner and outer north east London primary care trusts on 15 December decided to close the Accident and Emergency department at the King George hospital in Goodmayes, east London, writes Simon Carter, east London Socialist Party. 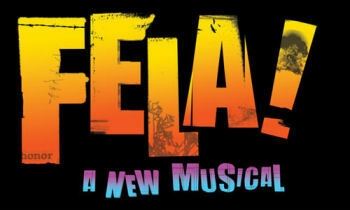 Review: WHEN NIGERIAN musician Fela Anikulapo-Kuti died in 1997, over one million people attended his funeral in Lagos, writes Jon Dale. 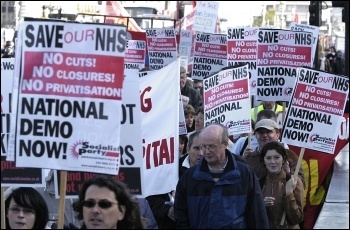 PRIME MINISTER David Cameron's New Year message told us that 2011 will be a "difficult year". 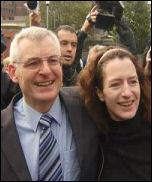 The Con-Dem coalition, he claimed, will take "hard but necessary steps" in the next 12 months, writes Roger Shrives. 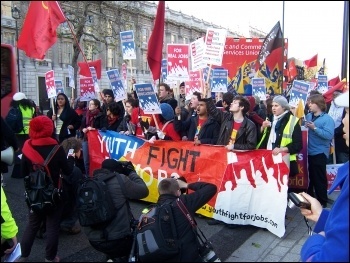 On 29 January a demonstration will take place in Manchester, bringing together young workers and students to fight for our future, writes Ben Robinson, Youth Fight for Jobs chair. 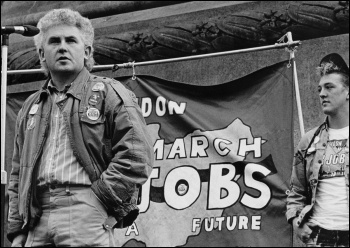 In the last days of 2010 Vince Cable cavorted on the dance floor, George Osborne gambolled on the ski slopes and other MPs sipped champagne while working class lives burned, writes Sarah Sachs-Eldridge, Socialist Party Executive Committee. 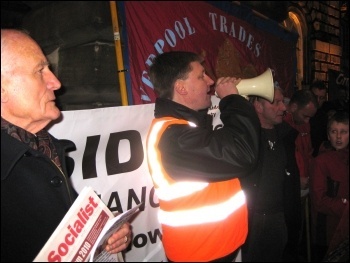 The following open letter has been sent to Joe Anderson, leader of Liverpool City Council, by members of the 1983-87 group of 47 surcharged councillors. 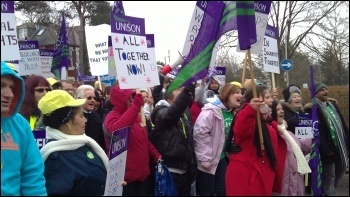 Last month an article appeared on the Unison Health website from national officer Mike Jackson which announced a "tough choice" for Unison members, East Midlands and Yorkshire Unison health members write. 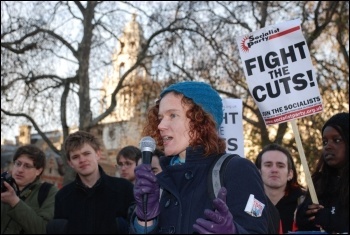 As a Christmas present to the bankers and big-business, the Con-Dem government voted through the tripling of tuition fees and have now stopped processing new claims for Education Maintenance Allowance, writes Jethro Waldron, YFJ colleges organiser. Leeds Trinity University College students went back into occupation this week, to oppose all cuts, including at Leeds Trinity University College (LTUC) where severe funding cuts are taking place. 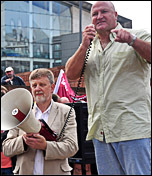 Mark Harper, the Tory MP for the Forest of Dean, has 'concerns' about job security, but that is all he has in common with the millions of public sector workers whose jobs are currently under threat, writes Sue Powell, Gloucestershire Socialist Party. 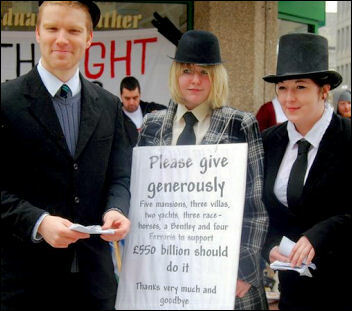 Bankers get billions - We get cuts - Time to fight back! 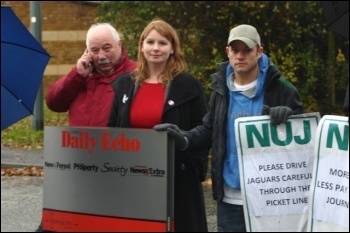 "We have to let management know we won't accept this pay freeze anymore," were the angry words of one striking journalist at the Southampton Echo picket last week, writes Nick Chaffey, Secretary Southampton Shop Stewards Network (SSSN). 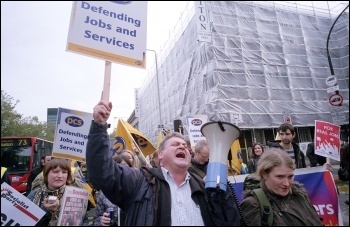 David Cameron has declared he'll deliver "the most pro-business...agenda ever unleashed by a government", writes Tracy Edwards, PCS young members' organiser (personal capacity). The News of the World's denials that illegal phone hacking was carried out by the newspaper on a regular and sustained basis are rapidly unravelling, writes Philip Stott, CWI Scotland. 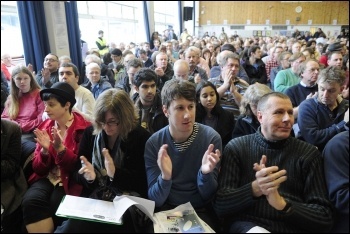 ON SUNDAY 9 January, 1,000 people turned up in Witney, prime minister David Cameron's Oxfordshire constituency, to demonstrate against the privatisation of the Royal Mail, writes Steve Bell. THE TRIAL of six environmental activists, accused of conspiring to break into Ratcliffe-on-Soar power station, has collapsed after the defence demanded information about a police agent provocateur who it appears was one of the main people planning to break into the coal-fired power station, writes Naomi Byron. 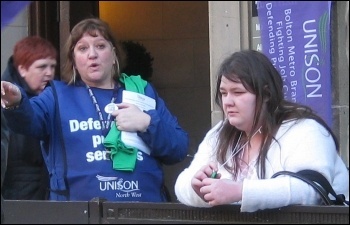 On 7 January, at one of the biggest stewards' meetings in Kirklees Unison branch's history, the branch voted to call off the planned five-day strike which had been endorsed by a mass ballot of the 7,500 strong membership only two weeks earlier, writes Mike Forster. 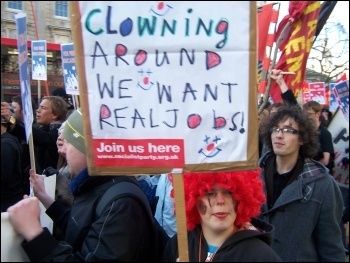 The government and the leaders of big business met recently to discuss solutions to the unemployment crisis currently facing young people, writes Claire Laker-Mansfield, Socialist Students national organiser. Administrators at University of Wales Institute, Cardiff (UWIC) have decided to axe six arts and humanities courses, while making serious cutbacks to its acclaimed Cardiff School of Arts and Design, writes Edmund Schluessel. 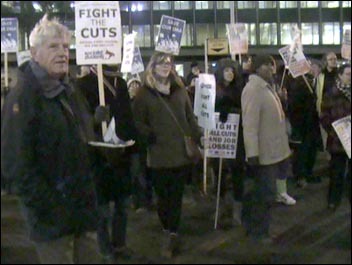 The Waltham Forest Anti-Cuts Union (WFACU) met during the first week of 2011 when 35 people discussed organising against cuts in the north east London borough, including having a demonstration in February, writes Bob Severn Walthamstow Socialist Party. FOR GREEDY, self-serving banking industry bosses, failure is rewarded by fat pay-offs and lavish pensions, writes Tony Mulhearn. 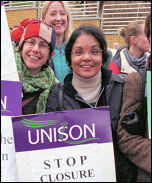 Unison's health service group executive has decided to completely reject the employers' proposal of a two year pay freeze in return for no compulsory redundancies, Socialist Party members on the Unison health SGE write. Two thousand council jobs in Manchester are to be scrapped, with compulsory redundancies a serious prospect, as the council tries to cut £110 million worth of services over the next two years, writes Hugh Caffrey. 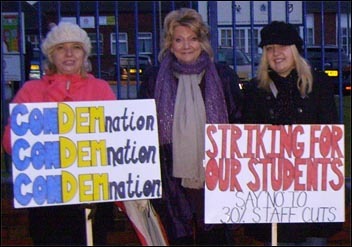 The strike against the loss of a third of teaching and support staff continued last week at Rawmarsh Community School, Rotherham. "To lie down will only lead to devastation": THE STRIKE against the loss of a third of teaching and support staff at Rawmarsh Community School, Rotherham continued this week. 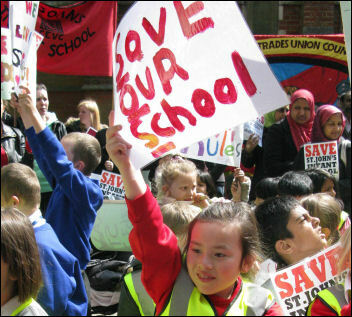 Over 30 redundancies are proposed to reduce the school's 'debt', writes Chris Bingham, Rotherham Socialist Party. Two days after MPs voted through the Postal Services Bill, postal workers received Royal Mail's employee newspaper, the Courier, carrying a letter from the prime minister on page three thanking us for our "excellent work" in ensuring that Christmas letters, cards and parcels were delivered, writes A postal worker. 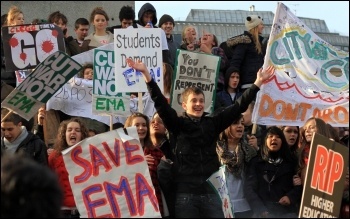 AS STUDENTS restart their protest action in the New Year over the rise in fees and cutting of Education Maintenance Allowance (EMA), a poll has revealed the extent of the impact that the attack on EMA will have on working class young people, writes Suzanne Beishon. 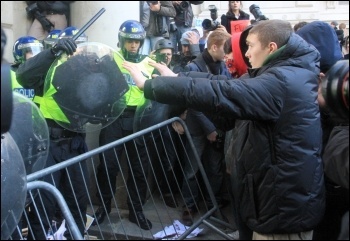 Youth Democratic Rights Campaign: Edward Woollard, the student protester who has admitted dropping a fire extinguisher from the roof of the Tory Party HQ on 10 November 2010, has been handed a 32-month jail sentence, writes Claire Laker Mansfield, Socialist Students. 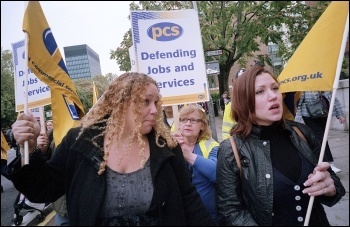 PCS members in Jobcentre Plus who have been compulsorily transferred from benefit processing into contact centres will be taking strike action on 20 and 21 January over our working conditions, writes Katrine Williams, PCS DWP group vice president. 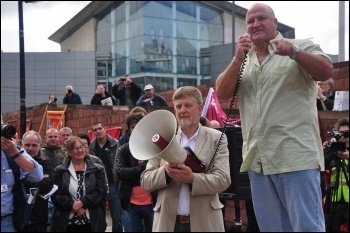 Four solid strikes by 1,000+ workers at the Heinz plant in Wigan have forced a significantly improved offer from the company, writes Hugh Caffrey. 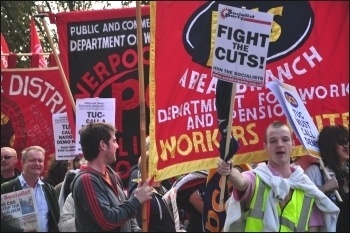 Con-Dems and councils swing the axe: Over 100,000 jobs are already under threat in local authorities as Labour, Tory and Liberal councillors swing the Con-Dem axe, writes Hugh Caffrey, North West Socialist Party secretary. 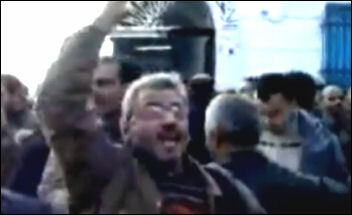 WIDESPREAD PROTESTS over unemployment, high food prices and a lack of democratic rights has resulted in a popular uprising in Tunisia and the overthrow of its hated dictator, president Zine al-Abidine Ben Ali. 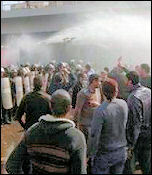 Chahid Gashir, a member of the Committee for a Workers' International (CWI), reports on the uprising, its international impact and what programme is necessary to take the revolution forward. 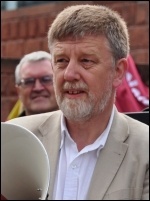 THE OLDHAM East and Saddleworth parliamentary by-election on 13 January, a three-way marginal seat last year, was a muted affair in much of Oldham this time, an Oldham Socialist Party member writes. 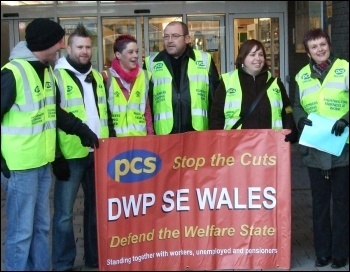 Public and Commercial Services (PCS) members have given a resounding 90% 'yes' in an indicative ballot to reject the government's proposals to rip up their contracts and steal accrued rights on redundancy payments under the Civil Service Compensation Scheme (CSCS), writes John McInally, PCS national vice president (personal capacity). The student movement has had a massive impact. 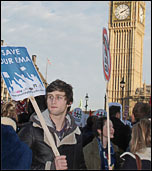 Education Maintenance Allowance (EMA) has been saved in Scotland and Wales and fee rises are not planned in those areas either, writes Ben Robinson. 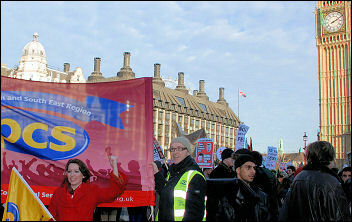 No to sky-high youth unemployment! For the fourth time in 13 months British Airways cabin crew have voted overwhelmingly to take strike action. The ballot returned a 78.5% vote in favour of strike action in a turnout of 7,335 members, writes Neil Cafferky. 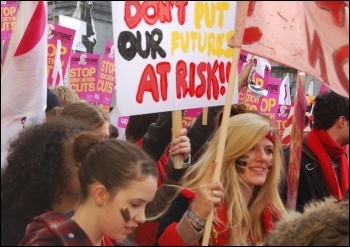 Review: THE COALITION government in Britain has made it clear that it wants 'educational reform' by increasing the number of academies and developing 'free' schools, writes Paul Gerrard, Bury NUT. 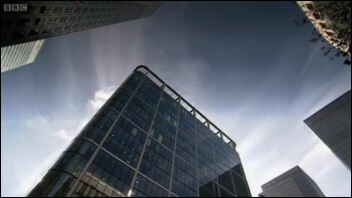 TV Review: Journalist Robert Peston's BBC documentary, Britain's Banks: Too Big to Save?, gave a useful explanation of how Britain's banks have operated over the last two decades, leading to the banking crash of 2008, writes Sean Figg. 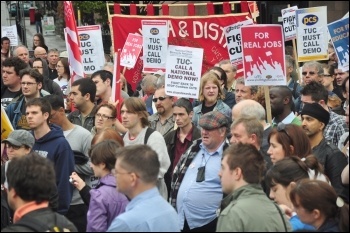 The Trade Unionist and Socialist Coalition (TUSC) conference on 22 January was attended by 150 people and aimed to, according to chair Dave Nellist, "lay the basis for hundreds of challenges in the council elections this year", writes Bob Severn. 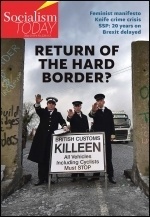 THE NEWS of the World (NoW) phone hacking scandal has claimed the job of Andy Coulson, David Cameron's spin doctor-in-chief, writes Philip Stott, Socialist Party Scotland. THE LATEST proposals for changes to employment legislation from the Con-Dems once again show their blatant class bias, writes Greg Maughan. ON 17 January 1961, Patrice Lumumba, the democratically elected prime minister of the newly independent republic of Congo, was assassinated at the hands of Belgian officers and troops of president Moise Tshombe of the secessionist area of Katanga, writes Chris Newby. 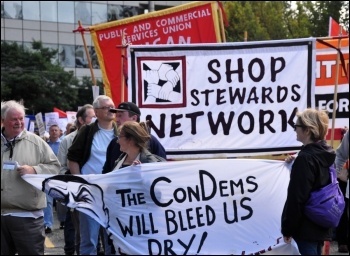 Nearly 600 people, mostly workers with elected positions in trade union branches, trades councils, workplaces and anti-cuts alliances, filled a hall in Camden on Saturday 22 January for the special anti-cuts conference of the National Shop Stewards Network (NSSN). Invest in jobs and services! 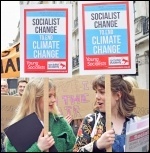 Around 600 students marched in central London against the scrapping of EMA, writes Claire Laker-Mansfield, Socialist Students national organiser. 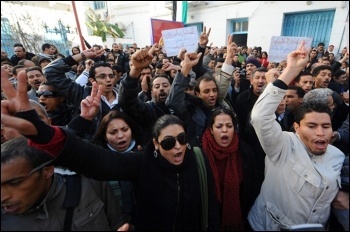 FOOD PRICE rises have caused mass protests in Algeria, Mozambique and Yemen, as well as being a major factor in the movement that recently toppled the Tunisian dictator, president Ben Ali, writes Naomi Byron. 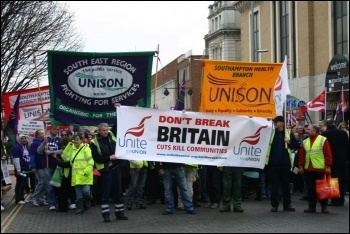 Since the election in 1979 of Margaret Thatcher's Tory government the people of this country have been subjected to a diatribe of rubbish under headlines such as 'reform' and 'flexibility', writes Craig Johnston, RMT union executive member. 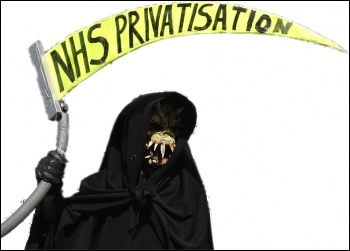 'EQUITY AND Excellence: Liberating the NHS'... so benevolently named is the government's car crash of a health bill which is going through parliament, that frankly there should be a health warning attached to it! Jackie Grunsell writes. Hundreds of thousands remain on streets defying repression - For an indefinite general strike! 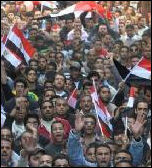 Mubarak's rotten regime is tottering on the brink. 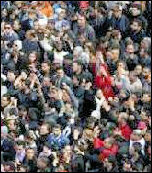 Six days of mass protests have grown into a nation-wide revolutionary wave of defiance.